Knowing that a people’s history is vitally important, and should be available without charge, ITD set about digitizing tens of thousands of historical photos in 2016. The free photo-retrieval service launched in May 2018. ITD kept the process very simple, knowing that if retrieving the photos proved too complex, it would undermine efforts to make the photos accessible. 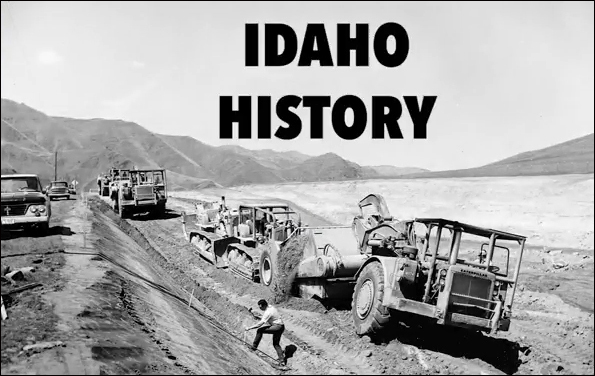 The site gives citizens the opportunity to uncover early Idaho highway history through a free online archive of more than 30,000 historical images. ITD’s free photo collection is at itd.idaho.gov/photohistory. Accessing the photos is simple. Just go to the site, enter your search criteria (name and location of the photo you want), then download the results in whatever size you need. The Idaho State Archives did all the digitizing of the photos under contract with ITD. The department hopes to continue adding to the collection, if funding is available. The following groups may especially be interested in accessing these historical photos.